Panthenol is necessary for the preservation of the healthy complexion, beautiful hair and nails. It has been clearly proved that the products containing over 1 % of panthenol have positive effects. 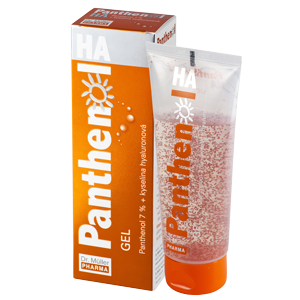 New product series Panthenol HA contain also hyaluronic acid. Panthenol and hyaluronic acid are potent binders of water, help to maintain the elasticity of the skin and accelerate the skin regeneration after exposure to solar radiation.